With 2 million patients registering and signing up for treatment Ramsay Générale de Santé handles a lot of files every year. All of which also need to be archived for 30 years. It was time to leave the paper heap and look for a leaner solution and choose for a solutions that includes digital signatures for health care. For a big part thanks to Connective eSignatures they managed to streamline its document handling both in a legally valid and patient friendly way. Watch the video to follow the interview with Olivier Tarneaud, Manager of Marketing and Digital Strategy at Ramsay Générale De Santé. Having a market share of 17%, Ramsay Générale de Santé is the biggest group of private hospitals in France. With a network of 121 hospitals and health centres and over 23.000 employees, they offer health advice, consultations, medical procedures and after-care to 2 million patients (figures 2017). Innovation is one of their focal points. This shows from their clinical research and development and the usage of the most advanced robot-assisted surgery technologies to treat cancer. Now it was time to stretch innovation to the registration and document handling process as well and to think about start using a digital signatures for health care solution. On average a patient needs to sign three documents before receiving medical assistance. All these documents need to be kept for 30 years, according to French law. Ramsay wished to digitize the whole flow to process and store all documents. Together with Tessi, a company specialized in document services, Connective worked on a solution that includes digital signatures for health care that would satisfy both the patient’s and Ramsay’s needs. The document handling software was provided by Tessi. They ensured a safe solution with all data encrypted to make sure it would meet the high standards and strict legislation for hosting and storing healthcare data. The eSignatures solution of connective, offering digital signatures for health care, to complete the identity check and legal validity. eSignatures are crucial as the documents cannot be stored if the signature is not proven valid. To check its validity an automated process is built which checks if the ID card really belongs to the patient and if it is a genuine ID card. Step 1. The patient signs and is asked if he wants to receive the code by SMS or by e-mail. Step 2. The patient enters the code in the same pop up screen to complete the authorisation. For his convenience the mobile telephone number and e-mail address are already in his profile. To verify the system shows the last four digits. The system has been launched on the 19th of January. 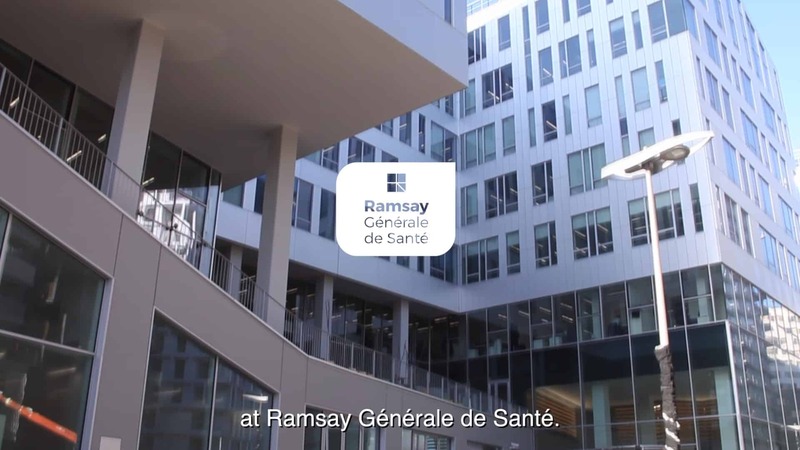 No other health care organisation in France has automated its process from registration to archiving, which makes Ramsay a front runner in document handling in the health care sector. Given the amount of over 2 million patients a year with 3 documents to sign on average, it will save a lot of time, which staff can now use to attend to the patients. If I had to summarize our collaboration with Connective and our experience with digital signatures for health care, I would say efficiency, responsiveness and user friendliness for our patients. Manager of Marketing and Digital Strategy at Ramsay Générale De Santé. Want to know more? Request an eSignatures demo now!